I have to admit that I sometimes suffer from an overactive wishful thinking gland. And recently it’s being playing up again. My current wish is to be able to program my own microprocessors. Across the web, there are so many brilliant projects using PIC or AVR processors. Of course to program them you must wrestle with programming code, compile it and then program the processor. For the programming part you need a small piece of hardware that will interface the chip from your computer. So where to start. Well for the AVR chips, open source programmers such as the USB AVR programmer can be downloaded from the web in schematic form and built onto perforated circuit board pretty easily. Alternatively there are companies out there that will sell you either complete programmers or kits with all that you need to get programming. Adafruit is one such company. A visit to their website reveals a wide range of kits and small projects that cater to the electronics beginner. It seems like cheating slightly to buy a project in kit form, but if you are short of time or skill, these kits make accessing the hobby an easy affair. What’s more you get achievable good results. For those new to the hobby, and especially youngsters that are showing an interest that a parent wishes to encourage, kits such as these are simple enough to build without the disappointment of a failed project. I recently purchased one of their AVR kits, not because I think that I will be programming chips very soon, but because there have been a few audio projects out there on the web that utilize these little wonder chips. Digital volume pots can be controlled by a micro-processor. I have for instance a resistor ladder driven volume control similar to the one that Adam Walker used in his beautiful pre-amp posted on this site. 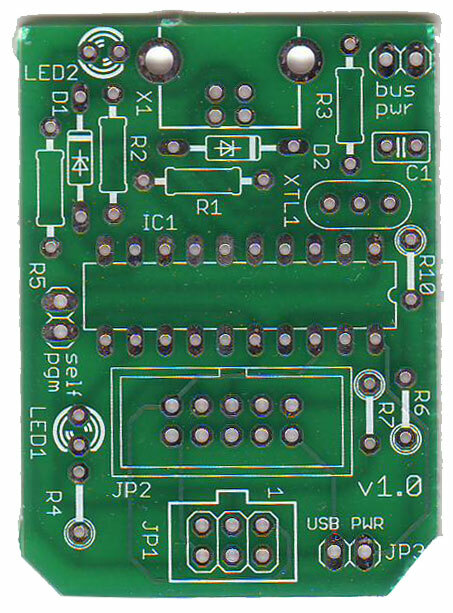 An AVR chip controls the relays in this device. Quite a few of the enthusiasts that post their projects on the web post also the firmware for the microprocessors that they have used for anyone who wishes to use it. All you need then are the parts and a programmer. The kit that comes from Adafruit contains most of what you will need to get started in AVR programming. As you can see from the inventory, the kit is reasonably complete. The IC comes pre-programmed for you, so with this kit you can start from scratch. As the schematics are available on the web, you could build one of these devices on standard prototype board. However there is always the issue of how you get started, You need a programmed chip to make a programmer, and to program a chip you need a programmer! At $22 the USB AVR programmer and SPI interface device will not break the bank, and you can build one without having to source any hard to find parts. One small cloud on the horizon is that the programmer does not include any way to attach a chip for programming. You have two choices here, you can add a programming header to any projects that you are making, or alternately build a programming interface using fairly common parts. Building the programmer was an easy affair, I won’t go into huge amount of details on how to do this because a very comprehensive set of instructions can be found here. The use of through hole parts does make this very easy. If you were introducing children to the hobby, or are newly started building your soldering skills, this is a project that is not too taxing. Once complete the kit will need some software to be installed on your PC before you can do some programming. The kit is supported by a piece of software called AVRStudio as well as WinAVR. These software packages are free, and no doubt not the only choices available. I tested my kit using WinAVR and it worked first time out of the box. A quick Google search will take you to many guides on the use of the software. If you are looking to get started in AVR programming, I would be happy to recommend the kit from Adafruit. It’s easy to build, compact and most importantly appears to be very reliable and also compatible with the free software packages out there. It also includes an SPI interface which I have not tested yet. The quality of the kit is very good, and the instructions supplied by Adafruit verge on the side of being too comprehensive. This makes it an ideal project for a stranger of the soldering iron. No doubt you will be able to find commercially made programmers that visually look a little better, but what are you looking for here? You don’t head to a hardware shop and worry about the colour of a hammer that you are buying. 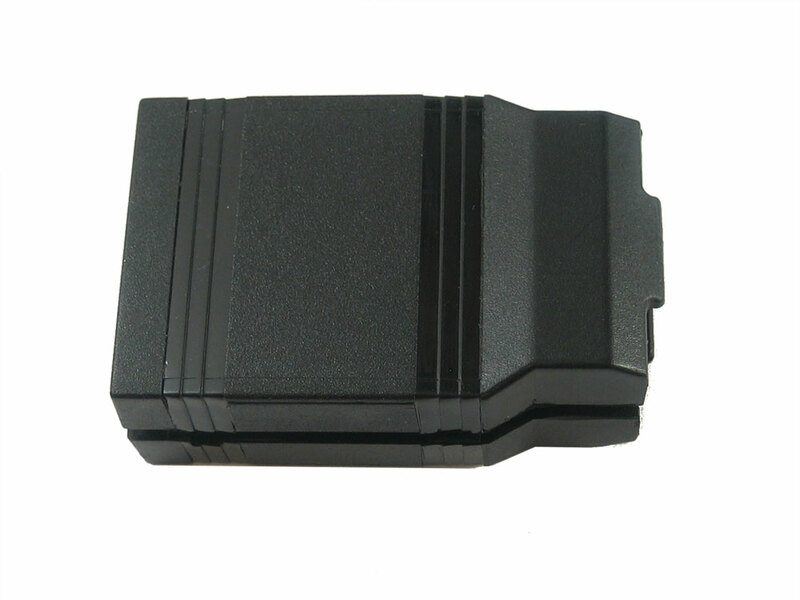 The programmer is a tool, it will spend its life in your tool kit and the casing that it is contained within will keep the circuitry safe from knocks and short circuits. The kit comes with both 10 pin wires and 6 pin IDC cables (A bonus) which should make it a flexible resource. The only issue with this kit is that you will either need to build your own interface to the AVR chip you wish to program. This can be done either separately or you can include it on each of the designs that you use the AVR processor for. I am pretty sure that if you are using Arduinio kits you will get the interface included on the board.